Gay Discrimination in the workplace is when employees are treated differently because of their sexual orientation. Sexual Discrimination can mean prejudice against any sexual orientation whether that is homosexual, heterosexual or bisexual. This can also intertwine with Marital Status Discrimination which is discrimination against someone because of them being married or in a civil partnership. The Equality Act of 2010 protects these rights and it is therefore illegal for companies to treat these individuals differently. 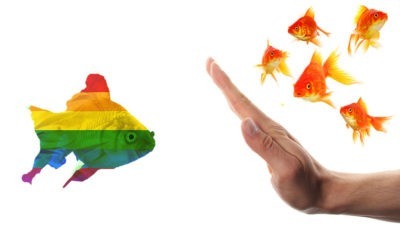 If an employee feels they are being discriminated against, it is important that they speak directly with their employer to make them aware of the situation and hopefully discuss how to resolve it. If no satisfactory steps are taken, you should write a formal grievance letter to your employment. If this process does not rectify the situation then you should make a claim to the Tribunal or Courts system. This is a complicated process and it is very important to seek legal advice in order to best resolve your claim. At Bloomsbury Law, we will offer you our expert advice and take you through all your options step by step to ensure your best chance of success. We understand that every case is different and look forward to offering you our confidential advice.